Full-circle P-OLED display which happens to be the world’s first. No other watch had this feature before. The watch R is compatible with any android devices that have 4.3 or later versions of the operating system. You can now have a heart-rate monitor that comes integrated with this smart watch. So now you can do your cardio using your watch. The design of this watch is classic with a round dial and 22 millimeter interchangeable strap to help you get the perfect fit. The Watch R can also respond to the “Ok, Google” voice commands when connected with any android device such as phone or tablets. The watch comes with integrated gyro, barometer, accelerometer, compass, and many other great features. It comes with Bluetooth 4.0 LE. The company can improve on the quality of the leather they provide for the strap. There is not a choice of colors. It only comes in black. The screen of the watch is too simple for such a high end android watch. It could be easier to use and more accessible than it is. 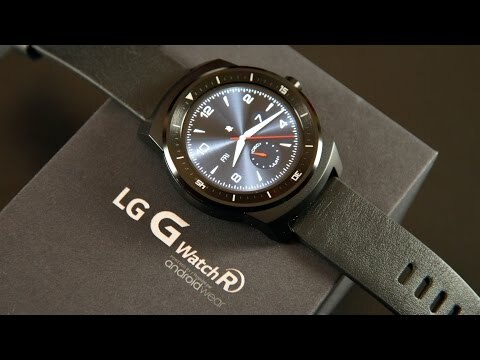 The watch R from LG is definitely worth buying because of its high level of functionality. If you are traveling a lot, or have a busy corporate life, this watch is definitely going to be an essential part of your everyday life. With its features, the watch is surely a hit for everyone. Buying this watch is easy. It is available online and you can even get a good price on it. Having already read this review you should realize you're going to love this product. It is available at many online vendors and I recommend you check it out right now. Well worth the money. We are all aware of the importance of smart phones in our life nowadays. Just like its counterpart the smart watches are also there for quite some time now. 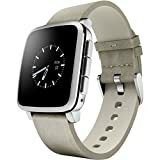 Yes, watch is supposedly one of the oldest devices that men use and now with the latest technical advancement the device has become smart to help men in their daily life. 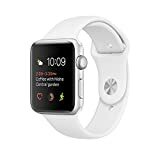 That is why the big brands are coming up with smart watches that are not only stylish but have some of the most interesting features in them that will attract everyone. LG one of the most popular brands in electronics has come up with their new LG Electronics G Watch R.
The watch R from the house of LG has got rave reviews since it was first launched. There is a steady demand for this watch on the market and with its intricate details and smart black look; the watch has definitely made its presence felt.